Outdoor dining tables help you build memories. Nothing brings family members and friends together like the prospect of a glorious outdoor meal. Each of our outdoor dining tables makes it easy for you to serve up a great time. 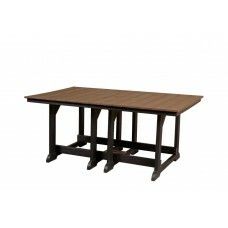 Each of these dining tables is more than capable of withstanding all weather conditions so that you can enjoy your table for many years to come. 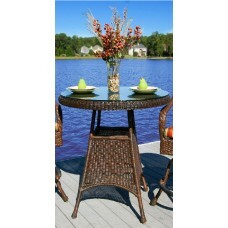 Scroll down to start shopping for your new outdoor dining table today. 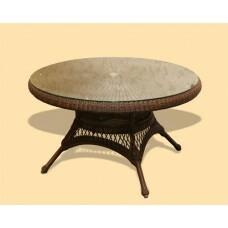 Outdoor synthetic wicker dining table with umbrella hole. The Lexington all weather outdoor bar table. 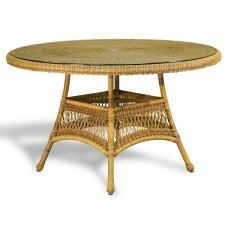 All weather outdoor conversation table. Are you replacing the dining table in your chair set? Do you already have dining chairs? Either way, our selection of outdoor dining tables is sure to please. Many of them come with their own umbrella holes so that you can add the umbrella (sold separately) of your choice. You can also mix and match these dining tables with other dining chairs in our selection so that you get the outdoor dining room you truly want and deserve. Each of our dining tables has been built to withstand the elements with ease so that you can feel confident about leaving it outside without having to worry about maintenance. 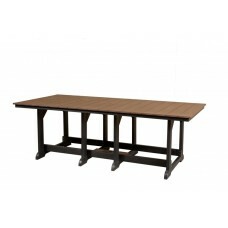 You can find traditional tables as well as bar-style or bistro-style tables. 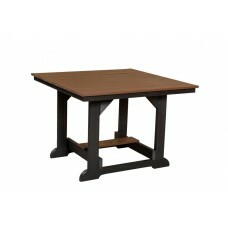 Each of our dining tables also comes with free shipping, so take advantage of some of our awesome deals today.